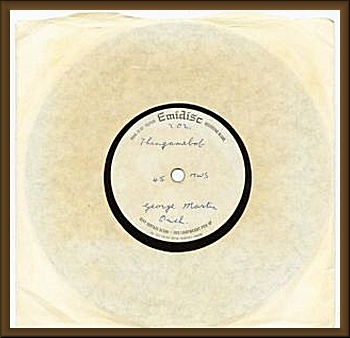 This is an extremely rare acetate of the Black Dyke Mills Band 'Thingamebob' produced by George Martin and Paul McCartney. No: 45MWS. There are some marks on the play side but is still a very very nice item and very rare.